Many low- and middle- income countries are interested in tracking investments to support their national nutrition plans. But unlike health financing, there is little guidance on how to track financial investments in nutrition. This task is made more complex by the multi-sectoral nature of nutrition and the integration of nutrition-specific and nutrition-sensitive activities in other programs. Guidance is urgently needed so governments can identify and track their financial commitments to nutrition. 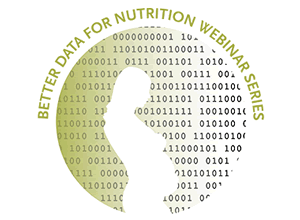 The second installment in SPRING’s Better Data for Nutrition webinar series discussed developing data on nutrition financing, including the challenges of obtaining accurate nutrition financing estimates, and highlighted the need to build consensus around what constitutes nutrition programming when tracking financial spending. This event also highlighted the leading role that the Scaling Up Nutrition (SUN) Movement is taking to define nutrition and support resource mobilization and SPRING’s work to estimate budget allocations for nutrition. Lessons learned on how better planning and understanding of current budget allocations can unlock money (both new and existing) for nutrition were also discussed. Patrizia Fracassi is Senior Nutrition Analyst and Strategy Advisor in the SUN Movement Secretariat and member of the Independent Expert Group for the Global Nutrition Report. Amanda Pomeroy-Stevens is Research and Evaluation Advisor for USAID’s Strengthening Partnerships, Results, and Innovations in Nutrition Globally (SPRING) Project and Principal Investigator for the “Pathways to Better Nutrition” case studies.